GLENDALE, Ariz. (AP) — For 56 minutes, the Arizona Coyotes were in control defensively against the playoff-contending Dallas Stars. That situation changed quickly, but the Coyotes held on. 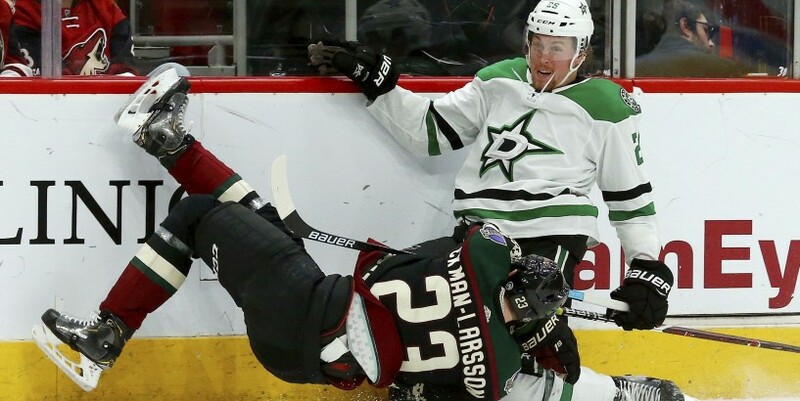 Alex Galchenyuk scored twice and assisted on another goal, and Darcy Kuemper stopped 33 shots to help the Coyotes beat the Stars 3-2 on Saturday.